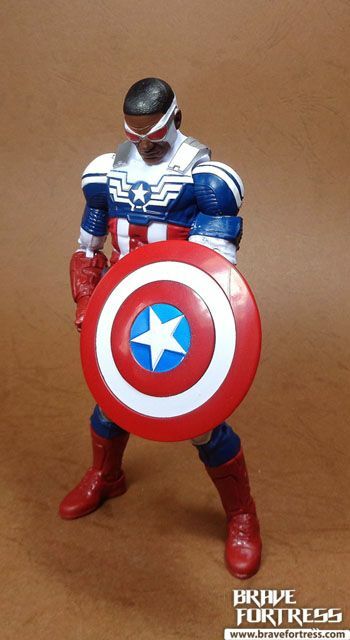 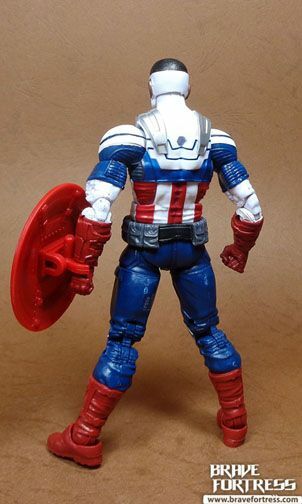 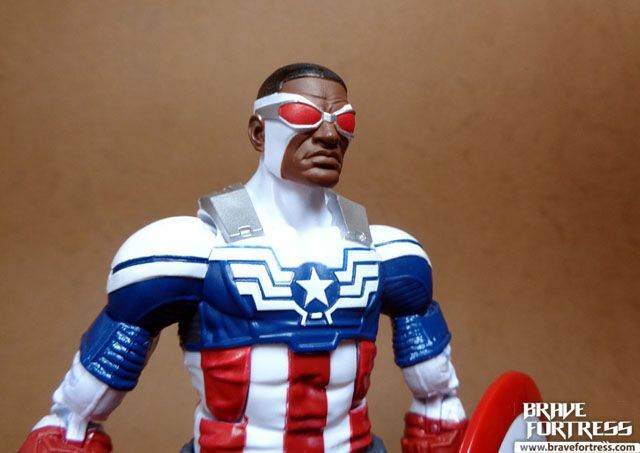 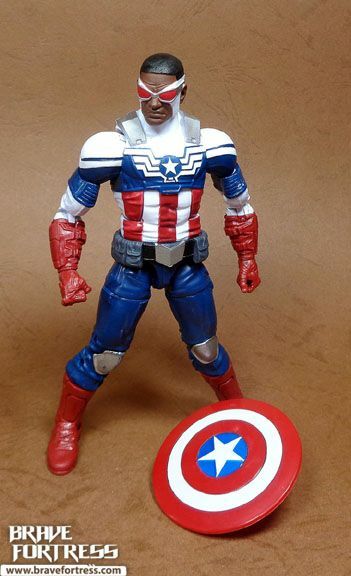 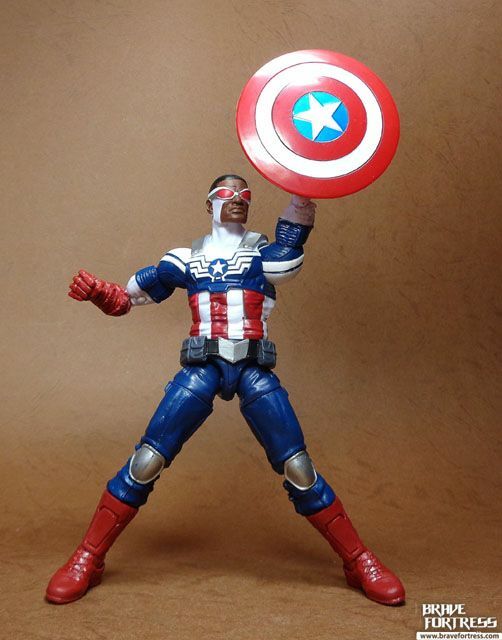 In the current Marvel Now, Sam Wilson has replaced Steve Rogers as Captain America, after Steve was drained of his Super Soldier Serum by the villain Iron Nail. 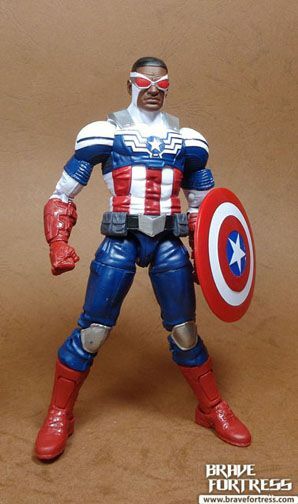 Oddly though, I do recall something about Sam not being able to be a good Captain America since tossing the shield requires superhuman skill (or, in Winter Soldier’s case, a cybernetic arm). 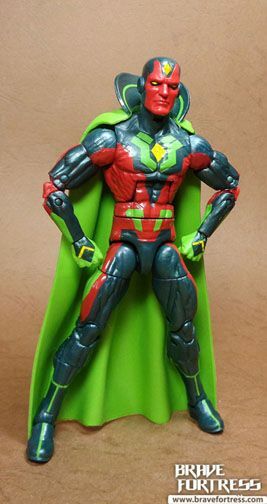 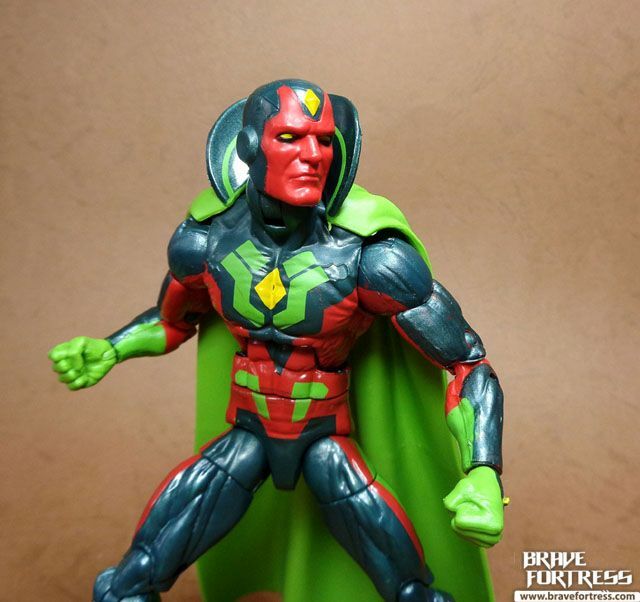 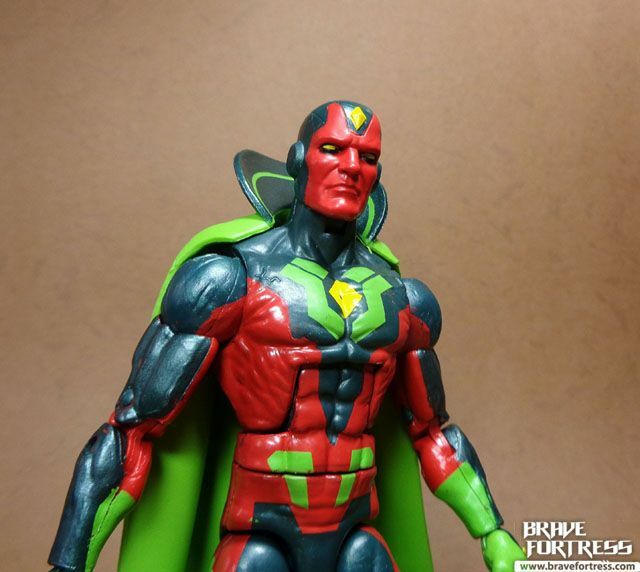 Vision’s new duds were supposedly designed by Alex Ross? 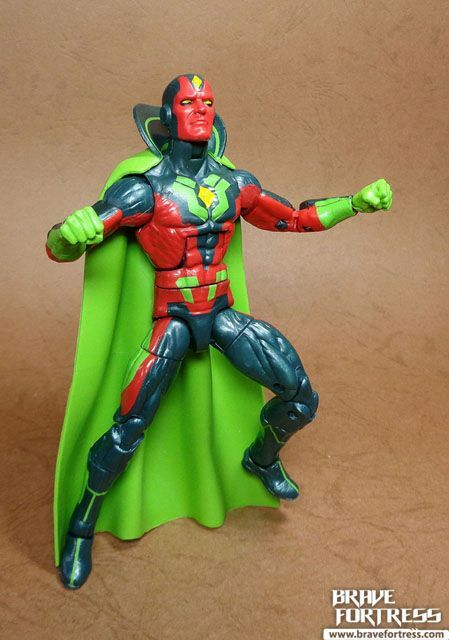 Not bad, certainly beats the old, plain, totally yellow costume version. 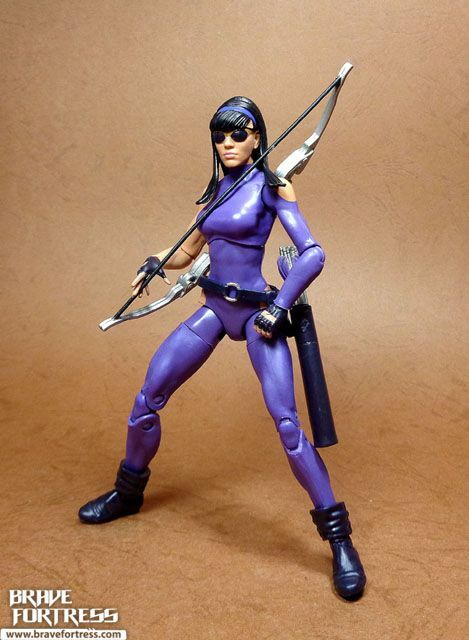 Kate is also called Hawkeye, but is sometimes called Hawkette, or Lady Hawkeye. 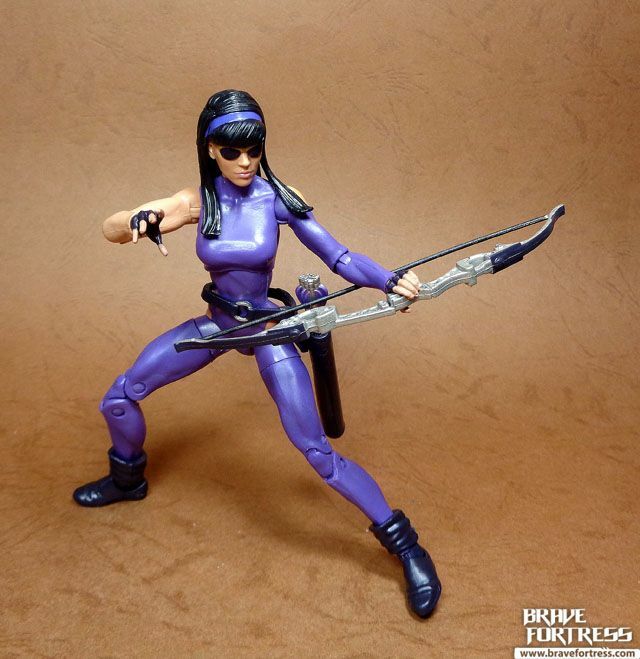 I find it odd, that even though her quiver has space for a few arrows, Hasbro still hasn’t included any arrows with this figure. 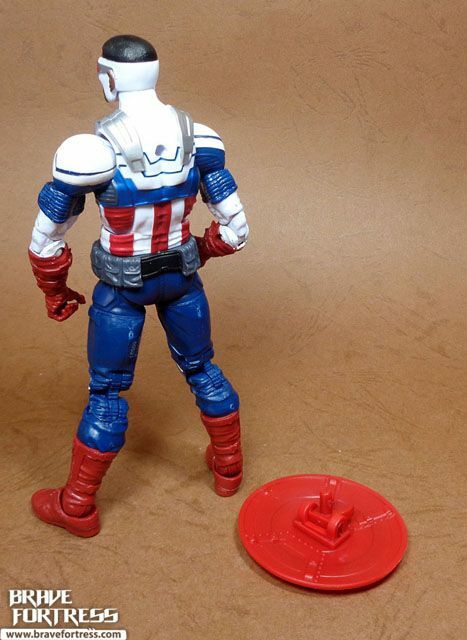 Sigh..
Soo…. 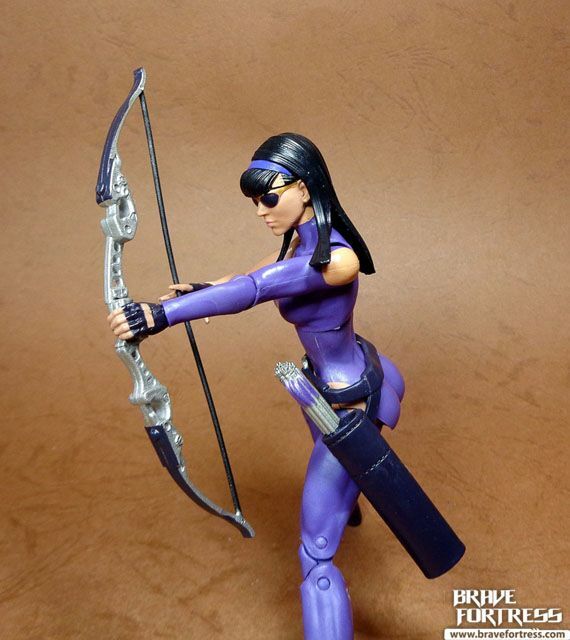 Uhm… what good is an archer without arrows, Hasbro? 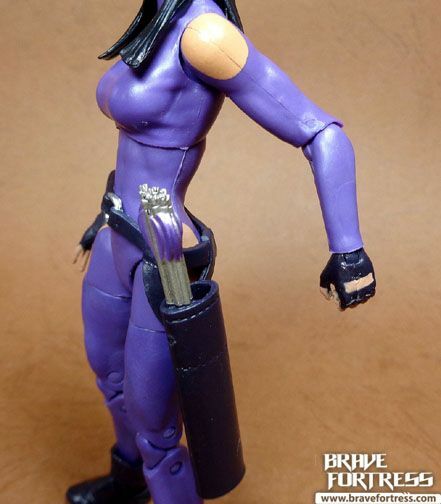 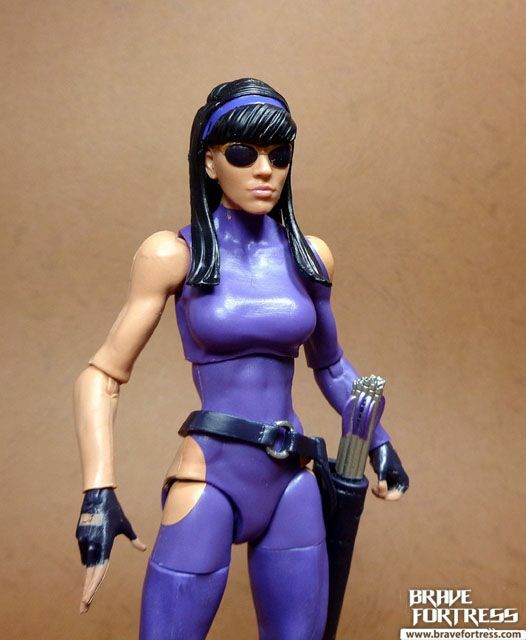 While Hasbro has been showing some great sculpt work with female figures, Kate here seems to have the weakest sculpt work. 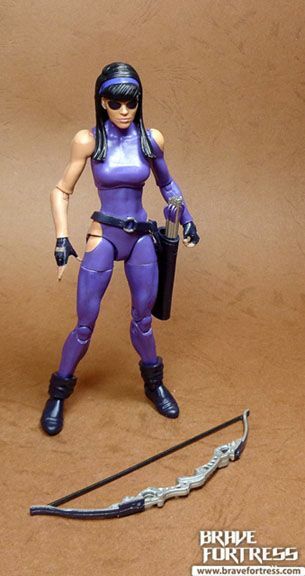 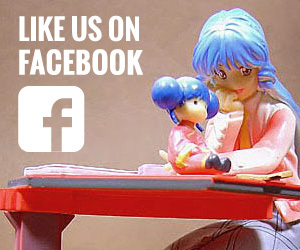 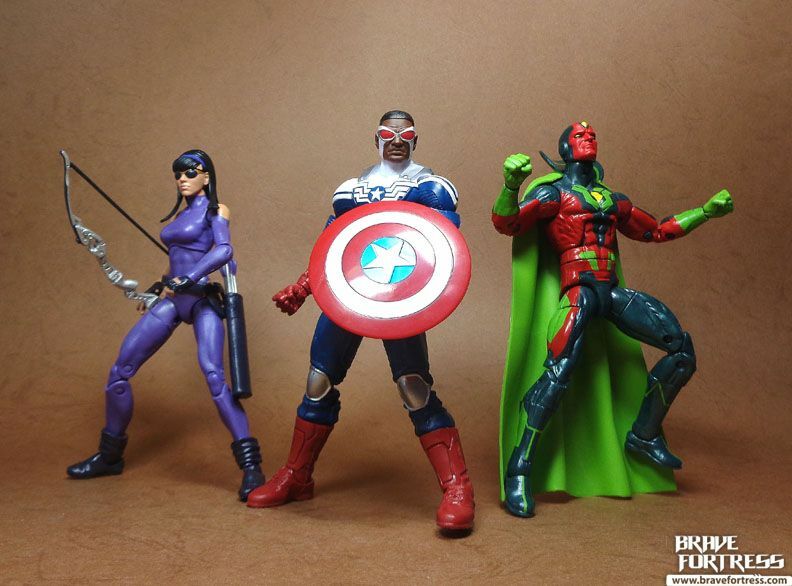 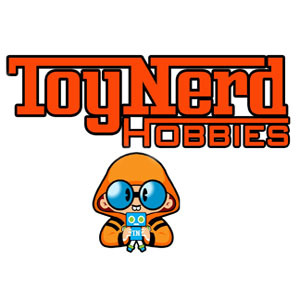 At least in terms of females in the Hasbro ML series.